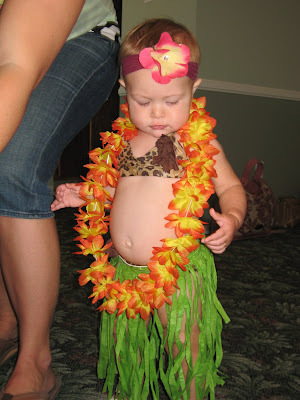 Christ & Co.: Our Granddaughter Turned One! 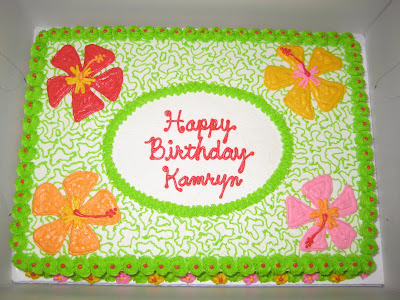 Last weekend our granddaughter, Kamryn, turned one year old! Time has flown by, and we can't believe we've had her for a year already. We all got together to celebrate with her, and had a great time. This was the cake. So cute, and so yummy! 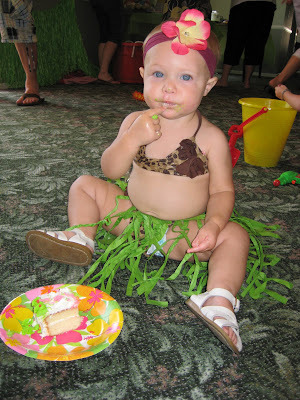 Here's the birthday girl in her birthday outfit. 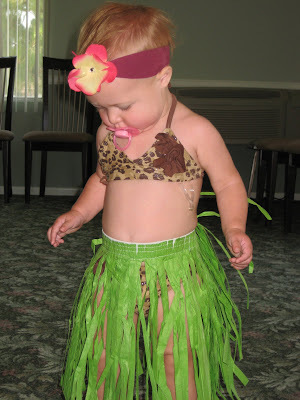 She was pretty impressed with the grass skirt! 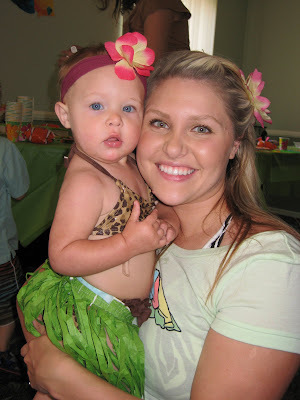 The birthday girl (Kamryn), and mommy (Kelsey). And her favorite part of the day...the birthday cake! It was a great day, and we're so thankful to have been able to spend it with our family!